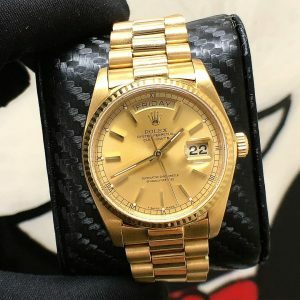 Pre-owned Rolex Day-Date, thank you for visiting at Bocaratonpawn.com. 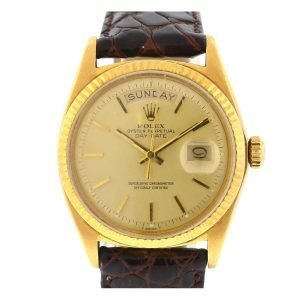 We have the best prices and selection of pre-owned Rolex Day-Date on the internet. 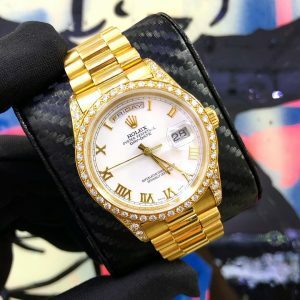 The Rolex Day-Date is the staple of the Rolex brand. It is also called a Rolex President. It only comes in precious metals such as yellow gold, white gold, rose gold, and platinum. If you have any questions or concerns please do not hesitate to call us toll free at 1-855-825-PAWN.